A mysterious killer who calls himself The Artist is assassinating wealthy lawyers in San Francisco. When war veteran Jake Wolfe accidentally takes his picture during a murder, The Artist adds Jake to his kill list and he becomes a target in a deadly game of cat and mouse that only one of them can survive. How far would you go to protect your loved ones from a killer? Jake wants to leave his top secret, violent past life behind him. But the reluctant, flawed hero can’t ignore his duty and his personal moral compass.This gripping thriller is full of suspense, plot twists and surprises. It features a cast of interesting characters, including several strong-willed women, two wise-cracking San Francisco Police Homicide Inspectors, one highly intelligent dog, and a philosophical killer who shares Jake’s admiration for Van Gogh paintings but still plans to kill him anyway. As Jake gets closer to unraveling a merciless conspiracy, his life gets turned upside down and the danger level increases, adding to the growing suspense. This entertaining page-turner starts out as a murder mystery and then shifts gears into a high-speed action thriller that takes you on a roller-coaster ride to the riveting ending. A good read for those who enjoy mysteries, suspense, action and adventure, vigilante justice, unique characters, witty dialogue and a little romance too. Now on sale in over a dozen countries around the world. Be the first among your friends to read it. Mark Nolan began his writing career as a successful entrepreneur who created news stories for businesses that were featured in The Wall Street Journal, National Geographic, Parade, Reader’s Digest and The Associated Press. Nolan was born in San Francisco, grew up in the Bay Area of California, and has also lived in the Pacific Northwest and Hawaii. He has raised two great kids and one very smart retriever dog. Right now he’s busy writing the next book about Jake Wolfe (Book 2), but he also tries to make time every day to answer emails from readers. I was shocked when I opened this electronic book and saw it was over 600 pages. I don’t think I’ve read anything that long that was not a compilation or a year long read along book in years. 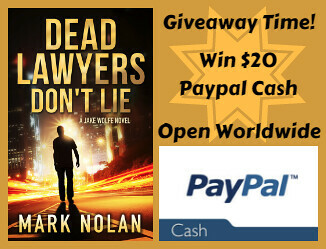 I was concerned I would not be able to get the book read in a timely manner but Mark Nolan wrote short chapters and the story moves along so quickly that I never realized how many pages I had read in a sitting. Jake Wolfe is a likable character. He goes through many issues in this book, from a broken engagement to being targeted by a killer. 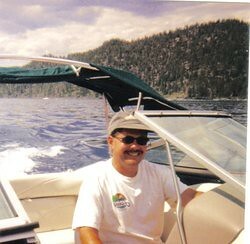 I found the way you get to know Jake throughout the book – his multi-faceted personality being revealed with different activities – a real plus for keeping me interested in what was going to happen next. Add to Jake’s character those of Terrell, his police department friend who served with him in the Marines, Alicia who is Terrell’s wife, and many other people, Nolan kept me wanted to move to the next page to see what these people were going to do next. I also have frequently said I am not a big city person but love two American cities – one on each coast. Boston is my east coast city. 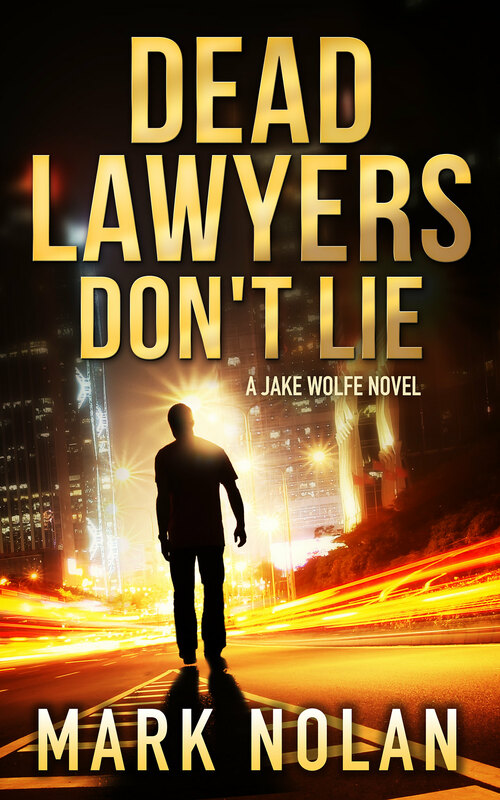 San Francisco, where Dead Lawyers Don’t Lie is set, is the west coast city of choice for me. I have been there many times and could picture what was going on in the book as if I were there as I have been there before. 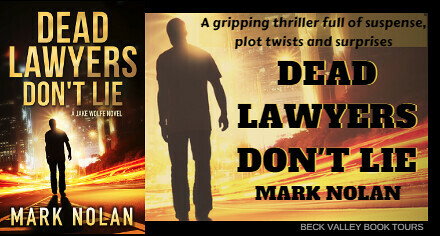 I would definitely recommend Mark Nolan’s Dead Lawyers Don’t Lie to any mystery lover. I also would think that almost anyone could get into the story line of this book and enjoy the fast paced movement.